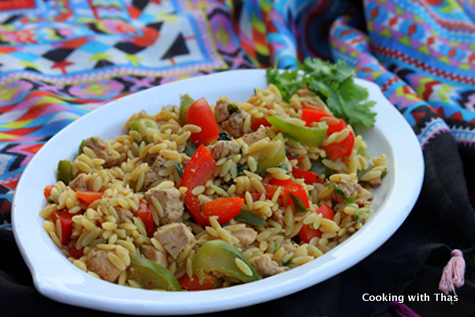 Orzo is a rice shaped pasta, that can be cooked very easily. I like orzo as it’s small and resembles to rice. 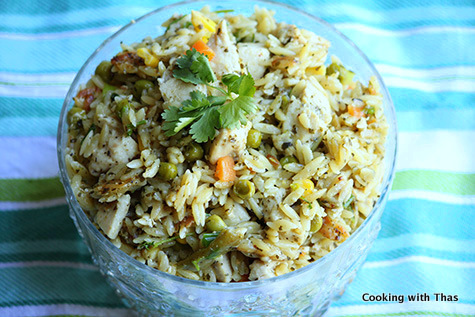 If you want to do a quick fix meal, combine cooked chicken and mixed veggies or just the veggies with orzo and cook them together till orzo turns tender. 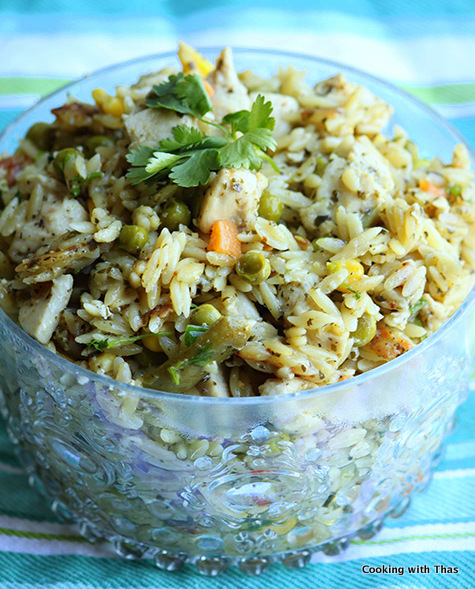 Orzo can also be added to any kinds of salads or soups, it will turn into a filling dish. 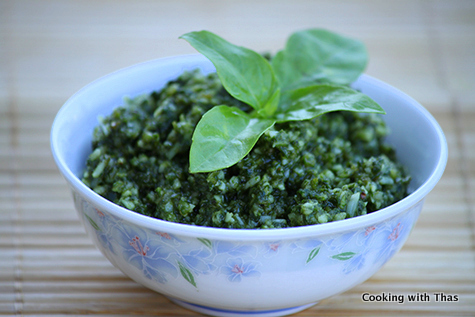 Here is the recipe for making homemade basil pesto, click here. In a bowl, combine diced chicken along with basil pesto and ground pepper. Place a wide non-stick cooking pan over medium heat. Add the marinated chicken and cook covered till chicken has almost cooked. Add mixed veggies and cook till veggies turn slightly tender. Add orzo and water, cook covered till orzo has turned tender and water has dried off. Combine well and season with ground pepper and salt if needed. Add green onions and cilantro or parsley. Combine well and cook for a couple of minutes. Serve while it's hot. 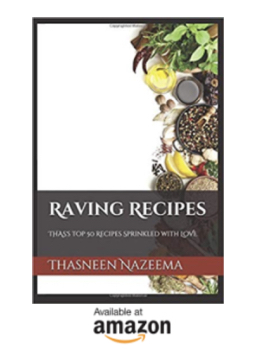 Leftovers can be refrigerated, can be taken for lunch.